We recently received notice that our project, the Illinois Poetry Correspondence Program, received funding approval from the Illinois Humanities Council. Professors Tisha Brooks, Elizabeth Cali, and I are coordinating the program, which will include approximately 24 to 30 high school students in reading, writing, and correspondence activities related to African American poetry. The program seeks to involve black male high school students from multiple areas in Illinois, including Alton, Chicago, East St. Louis, and Springfield. In an effort to make the program accessible and useful to a broad and diverse range of students and educators, we will publish a monthly digital newsletter and chronicle the activities of participants here on the site. 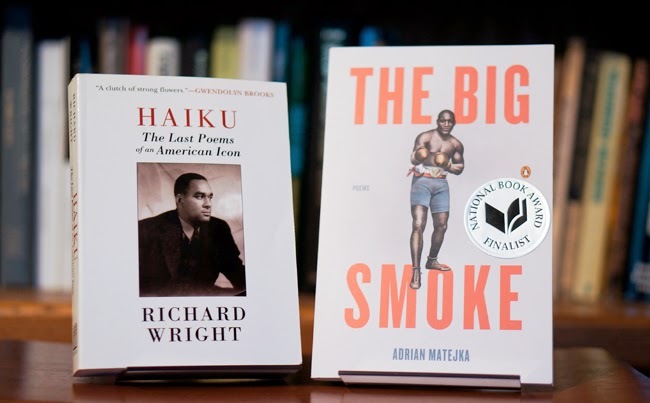 Each participant will receive, free of charge, Richard Wright's collection of haiku and Adrian Matejka's volume of poetry, The Big Smoke. The books will serve as the basis for reading assignments and writing prompts. The program will take place from October 2014 - May December 2015.